John Stones (Manchester City) delivers a crossfield pass, but the ball is cut out before it reaches its intended target. The referee and the linesman both signal a throw-in for Manchester City. The expression of the referee Michael Dean is crystal clear. This behaviour won't be tolerated. Sergio Aguero (Manchester City) is shown a yellow card. We have witnessed a sending-off! Fabian Delph (Manchester City) is given a red card for his dangerous challenge. Michael Dean's decision is final. It's time for a substitution. Shinji Okazaki (Leicester) comes on in place of Jamie Vardy. Leroy Sane (Manchester City) neatly controls a driven pass on the edge of the box, glances up and cracks a beautiful drive goalwards that sails just over the bar. Raheem Sterling (Manchester City) delivers a fine lofted cross into the penalty area, but it's cleared by an opposing player. A yellow card is awarded to Jamie Vardy (Leicester). Pep Guardiola has decided to make a change. Riyad Mahrez replaces Bernardo Silva (Manchester City). Goal! Ricardo Pereira (Leicester) picks up the ball from a rebound and from the edge of the box he unleashes a shot inside the left post. It's 2:1. The resulting corner, taken by Marc Albrighton (Leicester), comes to nothing. Wes Morgan (Leicester) attempts to find the head of one of his teammates with a promising cross into the box, but a defender outjumps the attackers and averts the threat. Leicester have been awarded a corner kick. Leroy Sane (Manchester City) whips the ball in, but it fails to reach any of his teammates as the opposition's defence averts the threat. It will be a substitution. Danny Simpson (Leicester) is ready to enter the pitch as James Maddison walks off. John Stones (Manchester City) is booked for saying more than Michael Dean was willing to tolerate. David Silva (Manchester City) steps up to take the corner. He launches the ball into the penalty area, but it only finds the head of an opposing player who clears the danger. Sergio Aguero (Manchester City) does well to reach the lofted pass in the centre of the box, but doesn't make full contact and his header drifts well past the right post. Fabian Delph (Manchester City) strikes from the edge of the box after a brilliant solo effort. The ball heads into the middle of the goal, but the goalkeeper denies him with a fantastic save. Substitution. Kevin De Bruyne walks off the pitch and David Silva (Manchester City) comes on as a substitute. Sergio Aguero (Manchester City) beats a defender on the edge of the box then bends in an effort at goal, but his radar is way off and the ball sails high over the bar. James Maddison (Leicester) takes the corner kick, but Ederson reads it well and stops the effort. A defender unwittingly blocks the ball on the line after a snap shot from Jamie Vardy (Leicester) inside the box following a slide rule pass. The linesman points to the corner flag, Leicester are going to take it. Kevin De Bruyne (Manchester City) dribbles into the box, but Kasper Schmeichel is quick enough to come off his line and stop him. Substitution. Demarai Gray (Leicester) receives a signal from the referee and is now allowed to enter the pitch as Hamza Choudhury walks off. Ricardo Pereira (Leicester) clearly holds his opponent to prevent him from getting the ball and the referee blows his whistle for a foul. That's a free kick to Manchester City. Leroy Sane (Manchester City) wastes a good opportunity as his pass into the box is blocked by the defence. Michael Dean shows the yellow card to Harry Maguire (Leicester) for a heavy challenge. Half-chance! Kevin De Bruyne (Manchester City) plays a pass into the box, but Kasper Schmeichel reacts well to snuff out the attack. Sergio Aguero (Manchester City) times his run too early and the linesman raises his flag for offside. James Maddison (Leicester) makes a yard for himself and goes for goal from long range. It never troubles the goalkeeper as it flies well wide of the right post. 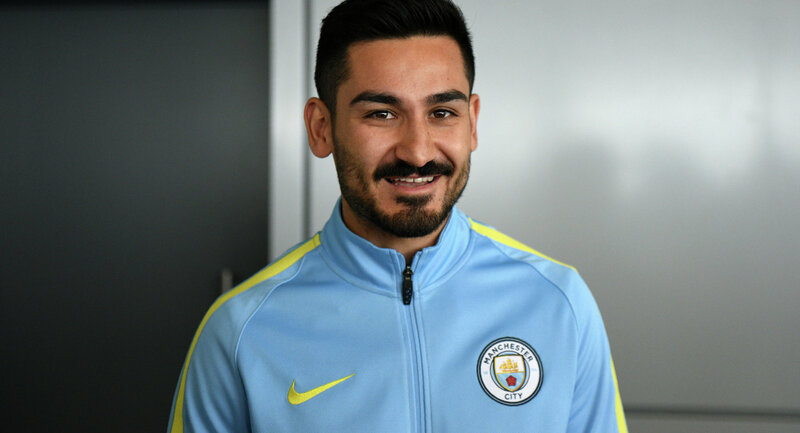 Ilkay Gundogan (Manchester City) swings in the corner kick, but one of the defenders leaps highest to head the ball away. John Stones (Manchester City) attempts a long crossfield pass, but the defence does well to intercept the ball. Manchester City earn a corner. Bernardo Silva (Manchester City) commits an ugly tackle on his opponent, but there is no caution from the referee. It's a free kick to Leicester in a dangerous position. Michael Dean interrupts the game for a tactical foul by Ilkay Gundogan (Manchester City). Leicester win a free kick and will be able to apply some pressure on the opposition goal. Ambitious effort from James Maddison (Leicester). He finds himself in a great position after collecting a precise pass inside the penalty area and goes for goal, but it never troubles the goalkeeper and flies well wide of the left post. The resulting corner from Kevin De Bruyne (Manchester City) is cleared by the opposition's defence. What a wasted opportunity by Jamie Vardy (Leicester)! He unleashed a powerful low shot from the centre of the box, but Ederson makes a decent save to thwart him. James Maddison (Leicester) lifts the ball into the box from the corner, but one of the defending players gets there first to head it clear. Hamza Choudhury (Leicester) looks to break free, but an opposing player clears the ball away. The referee blows his whistle, Leicester are awarded a corner kick. Leroy Sane plays a short pass through to Sergio Aguero (Manchester City) inside the box, but he balloons his effort high over the bar. Sergio Aguero (Manchester City) goes on a solo run, but he fails to create a chance as an opposition player blocks him. Kevin De Bruyne (Manchester City) takes the corner but fails to find any of his teammates. The ball is easily cleared out of danger. Kevin De Bruyne (Manchester City) slaloms his way past challenges, but an opposing player does well to get the ball away. Manchester City force a corner. They send men into the box. Raheem Sterling (Manchester City) is unable to feed a through ball into the path of his teammates. A fine lofted pass into the box, sent by Bernardo Silva (Manchester City), is intercepted by the opposition's defence. Kevin De Bruyne (Manchester City) sends in the corner, but fails to find the head of any of his teammates, allowing the defence to clear. A long pass finds Kevin De Bruyne (Manchester City), and he decides to test the keeper from long range. The shot flies towards the right side of the goal, but Kasper Schmeichel reacts well to make a good save. Some great controlled play and passing from Manchester City. They are increasing their possession of the ball and trying to open up the opposition's defence to hit them swiftly on the break. Goal! Jamie Vardy picks out Marc Albrighton (Leicester) in the box with a decent cross, and he scores in the left side of the goal with a header from close range. 1:1. The corner kick from Leroy Sane (Manchester City) is headed out of the penalty area by one of the defenders. Leroy Sane (Manchester City) races towards goal but the defender gets back well to make a challenge. The ball goes out of play and Manchester City have been awarded a corner kick. Fantastic team goal! Bernardo Silva (Manchester City) was set free in the area by Sergio Aguero and made no mistake with a lovely finish into the bottom right corner. 0:1. Marc Albrighton (Leicester) fails to beat the offside trap and the linesman puts his flag up. Kevin De Bruyne (Manchester City) takes the resulting corner which is well defended. Bernardo Silva (Manchester City) tries to slide the ball through to a teammate but it's well blocked by a defender. The ball is out of play and the linesman points at the corner flag. Corner to Manchester City. Fabian Delph (Manchester City) produces a lovely ball into the penalty area but the defender manages to intercept and comfortably averts the danger. Jamie Vardy (Leicester) trips an opponent with a slide tackle. Michael Dean stops the game and he could give him a card, but eventually decides on just a warning. Manchester City are awarded the free kick. Ricardo Pereira (Leicester) delivers a promising cross into the box, but it's cleared. The linesman raises his flag for offside before Raheem Sterling (Manchester City) heads on. Kevin De Bruyne (Manchester City) whips a promising cross into the box, but the opposition's defence intercepts the ball. Manchester City will kick the game off. Today's referee will be Michael Dean.